Some of us take our vision for granted. Seeing a single, clear image when we open our eyes is the result of a very complex process requiring several parts of our vision to work together smoothly. What happens when our vision isn’t working properly, and seeing double is the issue? When double vision, it typically means there’s a problem with how the eyes align together to allow you to see a single object. Some causes of double vision are medical and need immediate treatment, while others may mean it’s a problem with the brain coordinating the two eyes together. When you look in a direction of misalignment, you can end up seeing double. 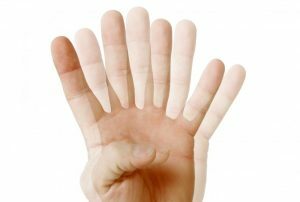 Double vision may occur when only one eye is open (monocular diplopia) or more commonly when both eyes are open (binocular diplopia). There can also be muscles in certain medical conditions that can also be entrapped due to swelling, causing double vision. Generally speaking, the brain may not be coordinating proper signals to the muscles of the eye. As mentioned above, there are some illnesses and diseases that may cause you to see double, as well as some medications taken for illness and disabilities. Eye muscle problems can occur from myasthenia gravis, an autoimmune illness that interrupts nerves making it more difficult to tell eye muscles what to do. A thyroid condition called Graves’ disease can also cause vertical diplopia which means one image is on top of the other. Multiple sclerosis can affect nerves in the brain or spinal cord, making you see double if it damages the nerves that control the eyes. Other conditions include Guillain-Barre syndrome and diabetes which can also cause nerve damage, leading to a host of vision issues. Additional testing, such as a CT scan or MRI, may need to be involved to receive a thorough diagnosis when double vision is occurring. Vision can also be compromised as a result of neurological disorders or trauma to the nervous system. It’s important that you don’t delay if you notice that you are suffering from double vision. At Vision for Life, we can start specialized therapy that can improve your vision and help improve the brain’s ability to process vision. Also, if you happen to be taking a particular medicine for a medical condition causing your double vision, we can retrain your brain to coordinate binocularor two-eyed vision better, in conjunction withyour medicine. At Vision for Life, we recommend a complete vision exam to determine the cause of the double vision (diplopia). Depending on the cause, treatments may include eye patching and activities that will be focused at realigning the eye that is misaligned. Vision Therapy can effectively treat the visual consequences of brain trauma (which also include double vision). Rehabilitation programs include vision therapy, corrective lenses and photosyntonics or light therapy. Vision therapy is a non-invasive solution for helping diminish or totally remediate double-vision, offering a wonderful alternative that isn’t surgical or prescription-drug based! With vision therapy, there’s a proven record of success. Our vision therapy programs offer higher improvement rates for turned eyes/lazy eye and diplopia when compared to eye surgery, glasses, and/or patching, withouttherapy. The earlier the patient receives vision therapy the better, however, our office successfully treats patients well past 21 years of age. Just a few of the benefits patients experience with vision therapy include easier learning, increased reading level and reading speed, improved depth perception, improvements in driving and parking a car, decreased time on homework and improved tracking ability. No matter the cause, Vision Therapy can be the answer to many visual problems. Don’t hesitate to contact our office with your questions and we’d be happy to help. Call us at 618-288-1489 to schedule a complete vision evaluation so we can then develop a custom treatment plan for you – one that yields the most effective results.